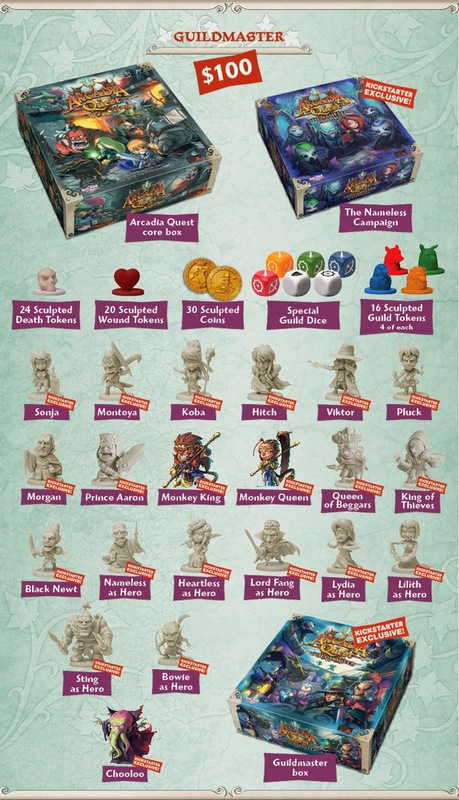 I ended up funding CoolMiniOrNot's Arcadia Quest Kickstarter project at the lowest level. I think this is going to be a great game, with some fun looking minis. I'm currently in the process of downloading three YouTube painting tutorials that they put up to get the "chibi anime" look. I'm pretty excited about learning some new techniques. This is what I got. It should ship somewhere around September.